Produktinformationen "Star Wars The Force Awakens First Order Stormtrooper Helmet"
Derived from digital files used in the production of Star Wars Episode VII The Force Awakens. Assembled and finished helmet that's ready to wear out of the box. Adjustable helmet suspension system to accommodate most head sizes. 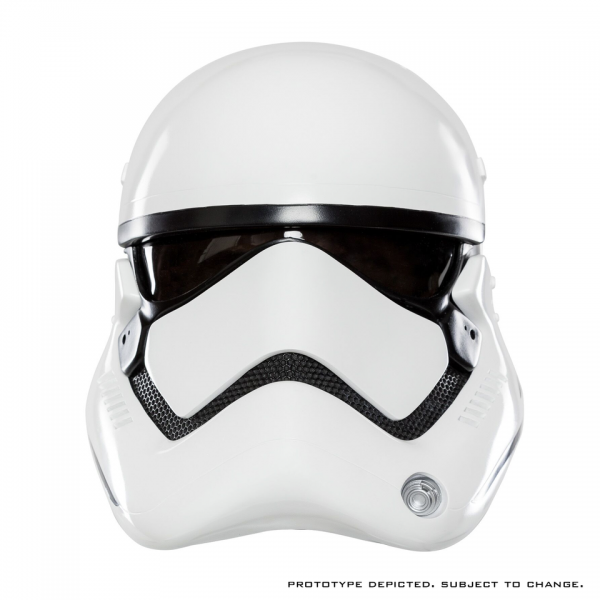 Weiterführende Links zu "Star Wars The Force Awakens First Order Stormtrooper Helmet"
Kundenbewertungen für "Star Wars The Force Awakens First Order Stormtrooper Helmet"